Chinese state media have released a video “proving” that a poet and musician reportedly jailed for eight years for one of his songs is still alive. Turkish government sources had reported that Abdurehim Heyit, from a Muslim ethnic minority, had died in a detention camp in China. In a 26-second video posted online by China Radio International’s Turkish language service late last night, a man identifies himself as Heyit before saying he is in “good health”. “Today is February 10, 2019,” he said. “I’m in the process of being investigated for allegedly violating the national laws. But activists expressed fears he may have been forced to make the announcement. Heyit is an Uighur, a Turkic-speaking minority based in the north-western Xinjiang region of China. Their language is similar to Turkish and a number of Uighurs have fled to Turkey from China in recent years. The Turkish foreign ministry called on China to close its internment camps for Muslims, saying they held a million ethnic Uighurs and were a “great shame for humanity”. “This tragedy has further reinforced the reaction of the Turkish public opinion towards serious human-rights violations committed in the Xinjiang region,” spokesman Hami Aksoy said. But China’s embassy in Ankara said Mr Aksoy’s accusations were false and urged Turkey to retract them. 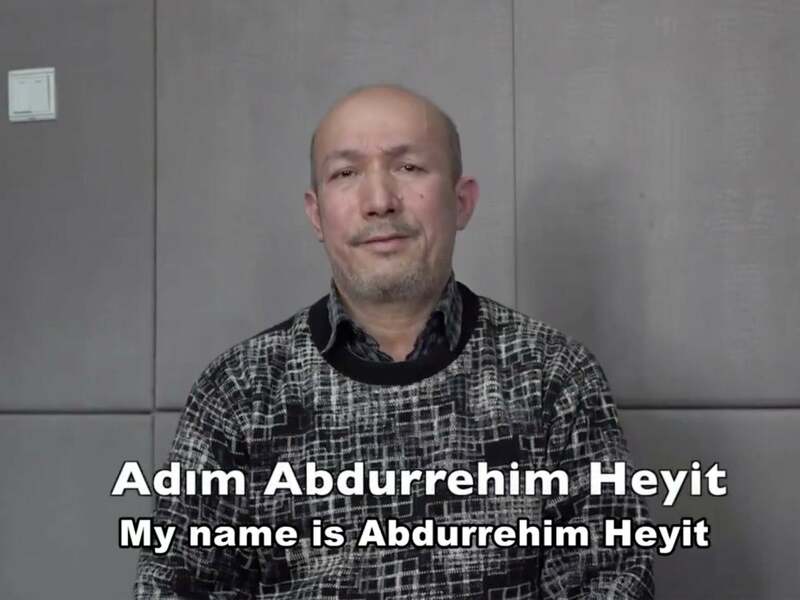 Uighur diaspora campaigners said Heyit’s body language and unnatural speech patterns in the video suggested his testimony may have been coerced and that digital alteration could not be ruled out. International rights groups say China routinely coerces detainees into making videotaped confessions that are broadcast on state media. The Chinese Foreign Ministry and Xinjiang’s regional government did not immediately respond to requests for comment. Beijing has faced an outcry from activists, scholars, foreign governments and UN rights experts over what they call mass detentions and strict surveillance of the mostly Muslim Uighur minority and other Muslim groups in Xinjiang. China denied the existence of “re-education” facilities for months before saying they were in fact vocational training centres designed to combat religious extremism.